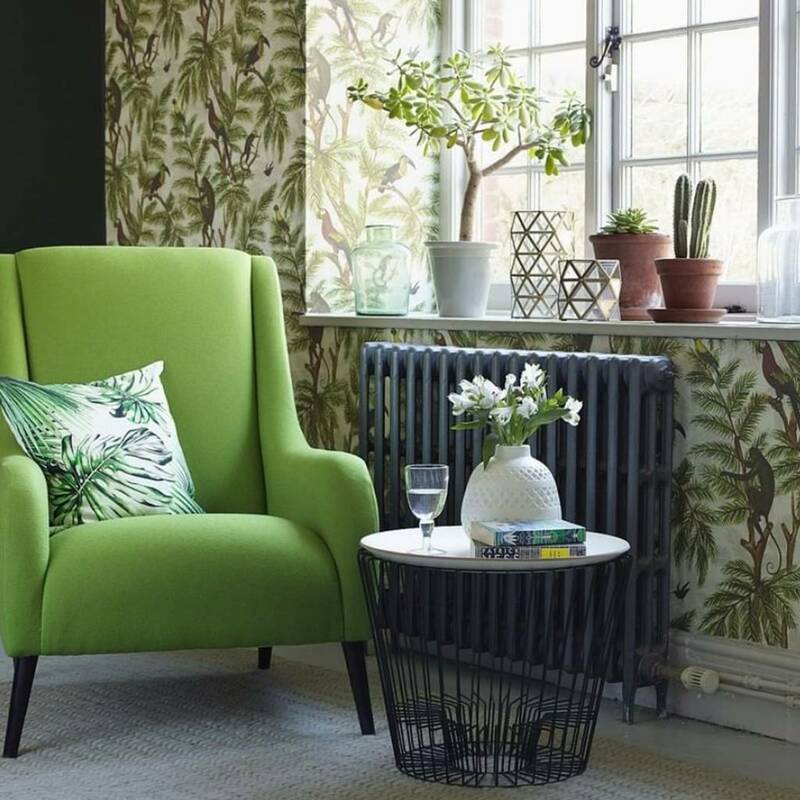 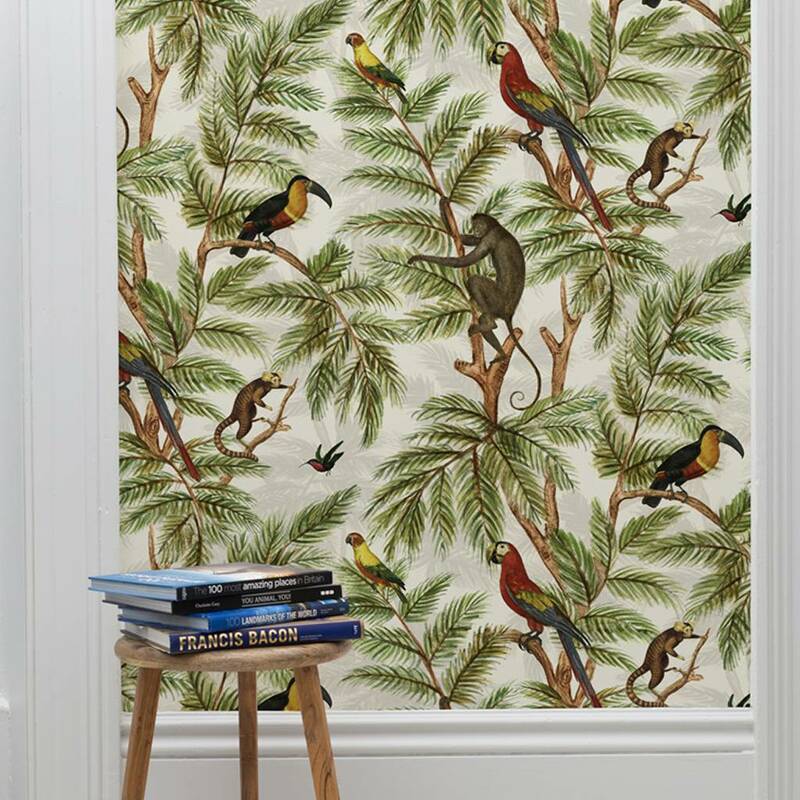 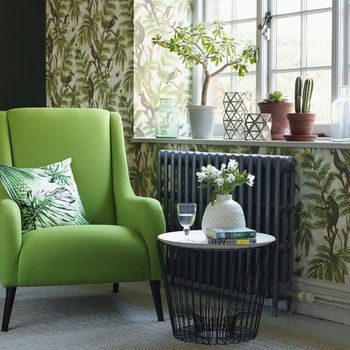 "A jungle wallpaper design featuring subtle palm leaves, parrots, monkeys and a wonderful Toucan. 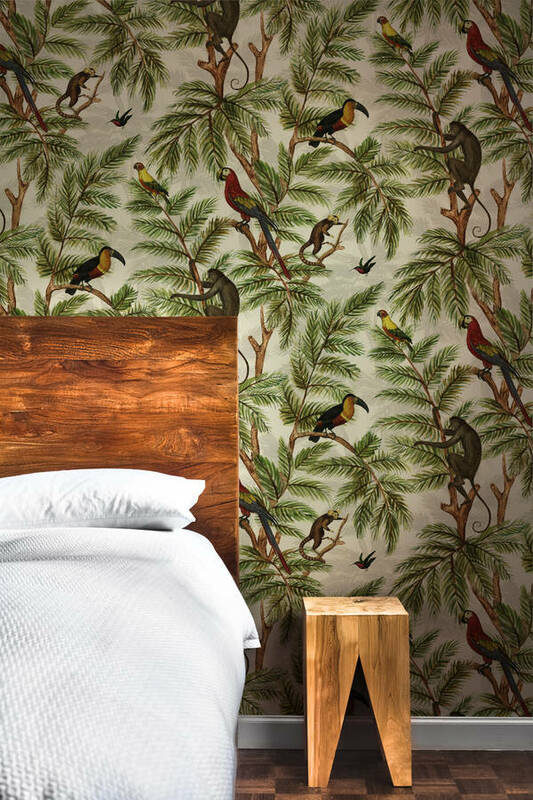 A firmly bohemian look with cinfluences from the Natural World. 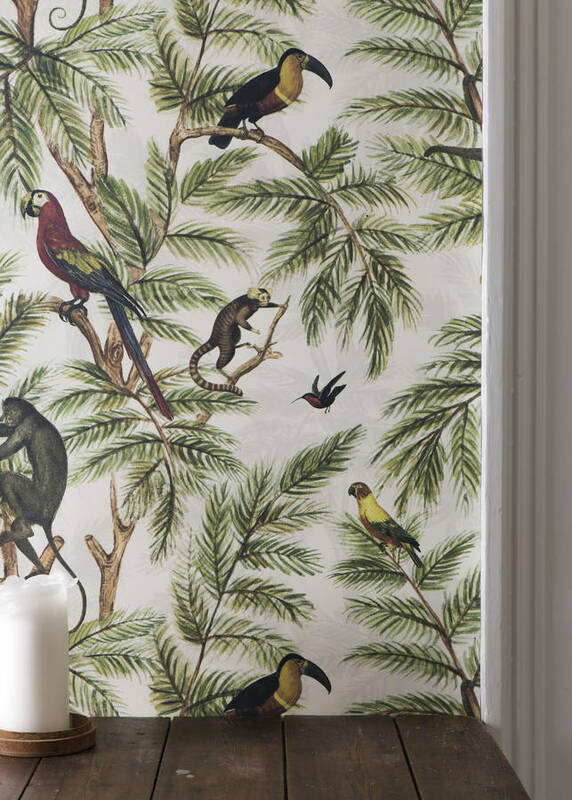 Designed and Made In the UK.Price is per Roll.